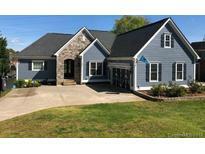 Find Mooresville, NC Homes for sale. View Photos, Maps and MLS Data Now! Invite your guests to stay in the adjacent guest house complete with 3,855 square feet of space, 3 bedrooms and large enclosed sunroom overlooking the lake. MLS#3497632. Premier Sothebys International Realty. Convenient to the dynamic Langtree Development and 3 minutes from I77 providing easy access to center city Charlotte. MLS#3497755. Ivester Jackson Properties. The spacious master bedroom suite, secondary bedrooms and bonus room are on the 2nd floor. MLS#3497131. Pilot Realty & Development. Internet service not included. Covered back porch overlooking yard. MLS#3480031. DR Horton Inc.
Internet service not included. Covered back porch overlooking yard. MLS#3480024. DR Horton Inc.
Just minutes from historic downtown with restaurants and shoppes. MLS#3496868. RE/MAX Executive. Greene Croft - Come see for yourself what this home has to offer! MLS#3497838. Lake Norman Realty, Inc..
Come and see this gem for yourself! ! MLS#3497912. Roost Real Estate. This will go quick so call us today and be the 1st to see it! 1 year home warranty included. MLS#3498110. Keller Williams Mooresville. Three additional secondary bedrooms offer generous closets. Photos are representative. MLS#3497900. CCNC Realty Group LLC. Lake Living at it's Best! MLS#3497340. EXP REALTY LLC. The Lake Walk Community Features A Pool, A Clubhouse & Walking Paths!! ! MLS#3497405. EXP REALTY LLC. Stop by and see us today! ! MLS#3497197. Lennar Sales Corp.
Edgemore - 12x24 two story shed used as workshop and upstairs storage. One year home protection included. MLS#3498100. Listwithfreedom.com Inc. This home has 2 septic systems-1 in back for lower level and 1 on side for upper level. MLS#3494933. Lawrie Lawrence Real Estate. These statistics are updated daily from the Carolina Multiple Listing Services, Inc. For further analysis or to obtain statistics not shown below please call Highgarden Real Estate at 704-606-1296 and speak with one of our real estate consultants.